Corporate Governance has become one of the buzz-words in corporate and management circles. The corporate world as a whole is in the process of acquiring a moral conscience. The new and emerging concepts in management like corporate governance, business ethics and corporate social responsibility are some of the expressions through which this emerging ethical instinct in the corporate world is trying to express or embody itself in the corporate life. However effective implementation of an ethical ideal or concept requires two factor: creating an ethical consciousness and promoting ethical conduct and behaviour. But for the outer conduct and behaviour to be authentic, sincere and effective, it has to be a spontaneous expression of a corresponding inner state of consciousness. This article examines the concept and practice of corporate governance in an integral, holistic and consciousness perspective. 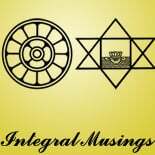 By the word “integral” we mean both the inner and outer dimensions of the phenomenon under study. By the word “holistic” we mean what is now called as “systemic” perspective which views corporate governance as a subset and in the context of the larger corporate environment. By the word “consciousness-perspective” we mean an emphasis on the inner change of consciousness. In our integral perspective, the ideal of corporate governance is to create a corporate consciousness which leads to self-governance. But a corporate manager or a government administrator may say “O, I am tired of such philosophical sermons and rhetoric, tell me how to do it”. This is a legitimate demand of the pragmatic mind provided it is not a demand for immediate results. For implementing or implanting ideas with ethical overtones requires a long persistent and sincere inner and outer discipline. However, the idealists must respect the legitimate demands of he pragmatic mind and must indicate a plan of implementation. Conversion of an ideal or a concept into reality requires three tasks. The first is to have a clear perception of the ideal, which means to have a clear vision of what would be the condition of the corporate world when the ideal is fully actualized. Second is an equally clear perception of he actual facts and the present evolutionary condition of the corporate world, or in other words the gap between the ideal and the reality. The third is a plan of action by which individually and collectively we can advance consciously towards the ideal. The ideal of corporate governance is to create a corporate consciousness and environment in which those who display genuine ethical, social and ecological responsibility, not merely in Director’s speech or annual reports but in concrete actions, prosper, progress and become leaders and decision-makers of the corporate world. Conversely those who are obstinately unethical are either weeded out or feel the consequences of their action. And others who are hovering between the two are given the opportunity and feel the pressure to take a decisive step in the ethical path. In other words, a corporate environment governed by the law of ethical Darwinism by which ethically fittest survive and prosper, the ethically ambivalent are reformed and the ethically unfit or delinquent become extinct. (1) By the term “ethically fittest” we mean those who have fully internalized the ethical consciousness and do not need the threat of law to be ethical. A biographer of JRD Tata relates an interesting and illustrative episode. Tata was questioning an executive who was trying to save tax returns to government. The executive justified his action by saying it is not illegal. But JRD asked “Not illegal, yes, But is it right?” (2) We can see here the difference in the mind-set between the legally ethical and the intrinsically ethical. However, there is perhaps a small but growing number of executive, entrepreneurs and leaders in the corporate world who are living in or understood the need of an intrinsic ethical consciousness. For example, when Pramod Bhasin, President and CEO of Genpact was asked: “How do leaders face up to scenarios where there could be a clash between values and pragmatism, especially in the light of intense competitive pressures”, he replied “The choice is easy if you really understand that integrity is non-negotiable”. (4) This answer comes from a mind, which has understood the intrinsic need of ethics transcending the legal or utilitarian motives. But the question put to Bhasin indicates the predominant temperament of the corporate mind, which is utilitarian, pragmatic. So most of he ethical motive emerging in business is also utilitarian, pragmatic based overtly or covertly on short-term or long-term self-interest. And the inner source of ethics is spirituality. The ethical motive or impulse becomes fully, entirely and perfectly conscious, enlightened intrinsic and spontaneous only in the spiritual consciousness. So ultimately ethics must blossom towards spirituality. Here comes the importance of some of a new trend in business and management, which augurs well for the higher evolution of business. It is the recognition of spirituality and the potentiality of spirituality for enhancing the quality of corporate life. For example, Academy of Management in US, a leading and prestigious association of management scholars in America has formed a “Spiritual Group” and launched a magazine called Journal of Management, Spirituality and Religion, focusing on the emerging spiritual aspiration in business. The prestigious Harvard Business School organized a conference on Leadership, Values and Spirituality in the spring of 2002. Similarly Indian Institute of Management, Calcutta has formed an institution, Management Centre of Human Value, based on the spiritual teachings of Sri Aurobindo, Swami Vivekananda and Rabindranath Tagore. The concept of spirituality at work is now openly and extensively discussed in management literature. Two management researchers from Cohenhegan Business School, Denmark, Peter Pruzan and Kriesten Pruzan have edited an interesting book “Leading with Wisdom: Spiritual based Leadership in Business” which is compilation of the views and experiences of 31 top corporate leaders from 15 countries who have based their leadership on spiritual and ethical values. The true meaning of spirituality might not have been fully understood or grasped in most of these new trends of thought in business. What is called as “Spirituality” in many of these movement falls within the domain of mental and ethical aspirations. However, higher mental and ethical motives and aspirations are an indispensable preparation for spiritual development. So, the spiritual groups and institutions all over the world have to actively support, encourage and enlighten these higher evolutionary trends in business by bringing greater clarity and depth to the meaning and significance of spirituality. (5) And every individual or group in the corporate world with a moral or spiritual aspiration and who are in the decision-making positions have to carefully watch and study these higher trends in business. We have discussed so far only the positive trends in the corporate world. There are also many negative trends like for example the numerous scams and frauds of the Enron-kind. Here comes the role of Law. We must keep in mind individuals and groups are in various levels of inner development. Not all of us, individually or collectively, are in the higher stages of ethical and spiritual development where the ethical consciousness has become intrinsic to our nature. Most of us need an external compulsion to remain ethical and the yoke of law to goad us towards our ethical awakening. This need of Law acquires a special significance in the domain of ecological and environmental responsibility. Though the progressive sections of the corporate world are becoming increasingly conscious of their ecological responsibility, still large sections of the corporate world, like for example leather industries, are still insensitive to their environmental dharmas. So in our present critical and precarious ecological condition of our planet, factors related to the ecological well-being of earth have to be strictly enforced under the yoke of Law and all violators have to be firmly dealt with. We have traversed from the ideal to facts. Let us now examine how to progress from the present facts to the ideal or in other word, to use a management jargon, the strategic plan. In our consciousness perspective the plan of implementation would be based on two strategic principles: first is to create the ethical consciousness through Education and the second is to build an outer enviornment favourable to this consciousness and its self-expression in the outer life. The inner discipline for developing this consciousness is a triune process. The first step is to have a clearly perceived self-transcending ideal in the moral, aesthetic or spiritual domain around which the whole being can be integrated. The other aspect of he discipline is a dual process of Aspiration-Rejection. Aspiration means a constant and persistent focusing of all the energies of our consciousness, thought, feeling and will on the ideal. The other aspect of aspiration is a conscious and deliberate cultivation of thoughts, emotions, qualities and virtues and capacities which are in harmony with the ideal or which builds the strength of character. The third aspect of the discipline is rejection, a catharsis, throwing off of all thoughts, feelings, and impulses which are contrary or hostile to the ideal or which pushes us towards unethical action like for example greed, selfishness or vengefulness. We have included calm and self-knowledge as part of the discipline, because someone who is calm and peaceful with an alert and vigilant self –awareness of his thoughts, feelings, impulses and motives is less likely to fall into unethical behaviour than the one who is agitated, restless and unconscious. However this is only one of the paths. There are also other paths. For example there are paths which doesn’t require an ideal. In this path, we simply observe with a vigilant, alert, and detached inner sensitivity our inner movements and try to feel concretely their inner consequences, like for example what are the thought, feeling, sensations or impulse which bring light, peace, joy, harmony, understanding or compassion and conversely the other movements which darken the mind and leads to the opposite. When this discipline is pursued in the right way, it leads to a spontaneous catharsis of negative movement and an equally spontaneous flowering of positive virtues. This is the psychological discipline for building a balanced, self-governing consciousness which has to become an integral part of the corporate education and training programmes for the management student, practicing executive, corporate leaders and also other workers in the lower levels of the corporate hierarchy. The consciousness approach, which we are discussing cannot be exclusively internal because the outer environment has an influences and impact on the consciousness. We have to create an outer environment favourable to the growth of the self-governing consciousness and felicitates its self-expression in the outer life. The outer environment includes the material, organizational, social and political environment made of buildings and space, laws and rules, policies, procedures, incentive and practices and many other factors related to the management of the outer life. The material environment should evoke gentle, pleasant, harmonious sensations in people, which is conducive to ethical and aesthetic development. In the organizational level, there must be active encouragement to ethical, aesthetic or spiritual innovation and excellence. The present motivational strategies in the corporate world encourage only techno-economic innovation and excellence. But for the higher evolution of the corporate world, there must be equal encouragement to what we may call as “value-innovation and excellence” in the mental, ethical, aesthetic and spiritual domain or in other words, there must be quality circles for promoting higher values. Workers and employees must be encouraged to offer suggestions on how to make the collective organism more true, beautiful, harmonious, compassionate, creative, progressive. In this task, the house-magazine and the intranet of the organization can be of great help in disseminating higher values in the organization through dialogue, discussion and creative participation. For example, the house-journal of the organization may publish articles, which help in widening the intellectual, ethical and spiritual horizons of the mind. Similarly professional magazines, apart from technical and specialized knowledge related to the specific professional discipline, should also contain a few articles, which help in the mental, moral and spiritual growth of people or the professional activity. For a professional is first of all an evolving human being, and only secondarily an engineer, accountant or a manager. At the governmental level, there must be more incentives for organizations, which display genuine ethical, social and ecological responsibility. The government has to create a political environment in which organizations, which are governed by higher values acquire a competitive edge over those which are unethical, insensitive, irresponsible. Governance is the function of leadership. Most of the modern management thinking on leadership is about outer governance or “organizational transformation”. But as the Indian thought repeatedly emphasized self-government, Swarajya is the foundation for governing the outer world, Samrajya. Similarly self-transformation is the basis for outer transformation. Someone who cannot govern himself cannot govern others. And someone who is governing himself with higher values can evoke, inspire and induce a similar aspiration and effort in others. According to Darwin’s theory of evolution, Nature works out her evolution through a process of natural selection by which the fittest species survive and the unfit become extinct. R.M. Lala, The Business Ethics of JRD Tata, The Hindu, 29th July, 2004. George Skaria, The well-governed corporation, Business Today, Nov.21, 1997, pp.25. ibid, Foreward by Daniel Goleman. For a more detailed discussion of this subject the readers may refer to the article “Corporate Governance: An Integral Vision” by M.S. Srinivasan, in Executive Chartered Secretary, April, 2008.